Floyd convenience on a spacious, level lot. Enough room to garden and play and a newly remodeled deck in the backyard for barbecues and enjoying the seasons. 4 bedroom or 5 if you move the laundry back to the basement. 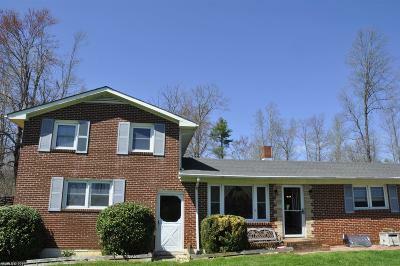 Floyd home at a great price with lots of room. Well cared for home with fenced-in area for your dogs. One car attached garage, large detached carport. Newly remodeled bathroom. Plenty of room for your family. Great value so make sure to put this on your list. Not many homes in Floyd in this price range.